According to compensation expert Kenneth Feinberg, 50 death cases are eligible for money due to crashes caused by faulty General Motors ignition switches. Kenneth Feinberg’s decision came few days before the deadline to seek payments. The expert, who was hired by GM to handle death and injury claims, released new totals earlier this week. Camille Biros, deputy administrator of the compensation fund, says she expects a flurry of claims before January 31 deadline, and the number of deaths and injuries to rise. Kenneth Feinberg, in an internet posting, determined that as of January 30 the families of 50 people killed and 75 people injured are eligible for payments. The fund has received 338 death claims and 2,730 claims for injuries. Of those, 58 death claims have been rejected as ineligible for compensation, as have 328 injury claims. The expert is either reviewing or awaiting documentation on 230 additional death claims and 2,327 injury cases. 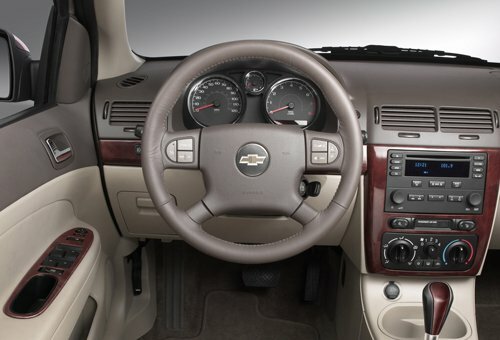 GM was aware of faulty ignition switches on Chevrolet Cobalts and other small cars for more than a decade, but it didn’t recall them until 2014. On 2.6 million of them worldwide, the switches can slip out of the “on” position, causing the cars to stall, knocking out power steering and turning off the air bags. In 2014, GM set aside $400 million to make payments, but conceded that could grow to $600 million. The company’s chief financial officer told analysts earlier in January that those numbers had not changed. Compensation for deaths starts at $1 million. Camille Biros said that so far the GM claims are following the usual pattern for compensation cases with a large number of claims at the beginning, a lull in the middle, and a large number toward the deadline. Kenneth Feinberg is among the nation’s most prominent compensation experts. He previously handled payments to victims of the 9/11 terrorist attacks and the BP oil spill. Claims filed by mail will trickle in next week and will be considered as long as they are postmarked by January 31. Kenneth Feinberg has promised to decide the claims within 90 to 180 days from when he determines they are substantially complete. His law firm expects to continue working on claims at least through the northern spring, and perhaps into the summer. The ignition switch debacle, which brought congressional and Justice Department investigations and the maximum $35 million fine from the government’s auto safety agency, touched off a companywide safety review. That brought a total of 84 recalls involving more than 30 million vehicles. As of Friday, GM had fixed just over 56 per cent of the 2.19 million cars with faulty ignition switches that are still on the road in the US, according to documents filed with federal safety regulators. The company said it could not reach about 80,000 of the car owners. GM hasn’t been able to get all the owners to have their cars repaired about a year after the recalls started. It’s not unusual for some car owners to ignore recall notices. The average completion rate one-and-a-half years after a recall begins is 75%, according to the National Highway Traffic Safety Administration. Northeast blizzard 2015: Why did forecasters get it wrong?